The Omaha program began in 1982 under the direction of Mr. Joe Friend, Public Safety Director for the City of Omaha. This program was modeled after a Chaplain program in Johnson County, Kansas. The organizing members were Rev. Henry Gittler, Rev. Thomas Rollerson and Fr. Cannon. Since the inception of the program, the Omaha Police Department has provided a marked vehicle and official credentialing that includes a chaplain identification badge. 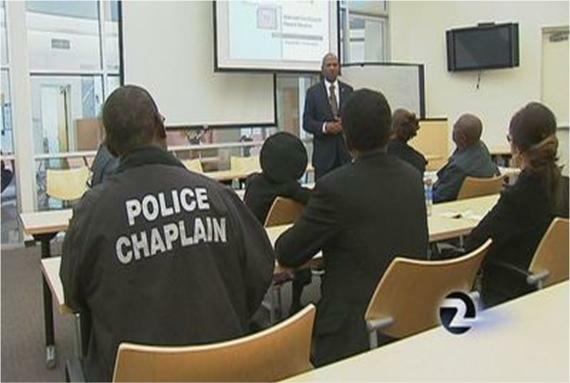 The approved uniform consists of a black clerical shirt with OPD shoulder patches and badge holder. A windbreaker style identification jacket is also provided. Various communication devices have been provided over the years.